The Encyclopaedia Britannica continues to share lessons for association executives. On March 4, Mark Athitakis of Associations Now wrote Keep the Mission, Change Everything Else. "Truth is, most associations’ overall structures tend to be fairly rigid: Familiar governance and membership models, familiar nondues revenue streams, and familiar big concerns in the C-suite. "So it’s easy to understand why many association leaders are hesitant to make modest changes, let alone transformative ones. Association management can at times feel like a zen koan: How do you affect change without changing anything? But reading about Encyclopedia Britannica’s experience has been an eye-opener for me—its story is evidence that you can hold fast to your legacy while actively changing the direction of your organization." In the March issue of Harvard Business Review, Encyclopaedia Britannica's President shared insights on the changes they made. The internet enabled us to reinvent ourselves and open new channels of business. Reports cited Wikipedia as a disruptive force. In fact, Wikipedia helped us sharpen our business strategy. Our content model was dismissed as “vintage,” but it is actually anything but: We update our content continually, with community input, reaching tens of millions of people every day—and they pay for it. Despite the vast migration of information from ink and paper to bits and screens, it seemed remarkable that a set of books published for almost a quarter of a millennium would go out of print. But in our Chicago offices this wasn’t an occasion to mourn. In fact, our employees held a party the day of the announcement, celebrating the fact that Britannica was still a growing and viable company. They ate the print set—in the form of a cake that pictured the 32-volume, 129-pound encyclopedia. They displayed 244 silver balloons—one for each year the encyclopedia had been in print. They toasted the departure of an old friend with champagne and the dawning of a new era with determination. In my SCDdaily blog post of March 20, 2012 (see below) I outlined four lessons the changes meant for associations and association executives. Recognize you have competitors for your members time and funds. 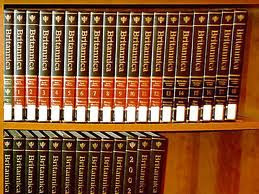 Reading between the lines, the folks at Britannica didn’t see Wikipedia as a competitor. After all, Britannica was professional and accurate while Wikipedia was volunteer driven and filled with errors. Britannica got it wrong. And, lost a lot of audience (members) because of it. As association management professionals, we need to realize that our associations are competing for the time and money of our members and prospects. Forget that and you too may be out of business. Clearly, just being on the internet is NOT enough. Just being on the net (with a website) doesn’t cut it. Your association’s website needs to be mobile friendly and updated daily. Have you looked at your website lately? I can’t believe how many I see that have “news” pages with “news” that is two or three years old. Engage your community. Digital media platforms provide new tools to connect with your members and prospects. The more engaged, the more connected they become to your association. Invite them to share photos (related to your profession or industry). Ask them to comment on your blogs. Encourage them to “spread the word” via Tweets, Retweets, Facebook likes, pins on Pinterest and more. Give them an opportunity to comment and/or vote on important association policies. The Freemium model is beating the paid model. The freemium model involves providing benefits/services/content FREE to large numbers of members and prospects and charging a fee (formally called dues) to a smaller portion of the “membership” (5% to 10%) for “premium” benefits/services/content. If not already pursued, your competitors will soon be offering freemium services and pricing to your community. The “freemium model” isn’t really new. “Controlled circulation magazines” have used the model for years. Such publications are free to qualified readers. This generates large audiences which leads to more advertising revenue. Years ago, I was part of the Soybean Digest (then a publication of the American Soybean Association). When we moved the magazine from a member-only publication (with about 20,000 readers) to a controlled circulation magazine (with about 200,000 readers), revenues jumped from about $185,000 a year to more than $3 million a year. What is your take on the Encyclopaedia Britannica changes? What signals does this send to your organization and/or its board? What changes have you made?